Our first generation web site was launched on May 14, 1998. Within a few months, a die-hard group of early adopters had already begun spreading the word, and we registered our first thousand members. 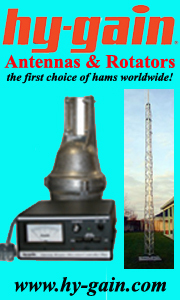 We ran a small HamAds advertisement in QST and asked people to "QSL VIA QSLCARD.COM" at the end of each QSO. In 2000, the technology was available to convert the system from one based on sequential files to one using a real database. And it's a good thing, because we jumped from 100,000 up to 1 million eQSLs in our database that year, and our membership stood at over 7,000. Not much more than a year later, we were already at 10 million eQSLs and over 30,000 members. By 2006, we crossed the 100,000 member mark. And on New Year's Eve 2007/2008 we had more than 122,000 members and over 92 million eQSLs in our database. eQSL.cc was still growing exponentially, adding about 50 new members every day and 2,500 new eQSLs every HOUR. In January 2008 there were over 6 Gigabytes of eQSL graphics, and over 33 Gigabytes of log data in our online database. During the second 10 years, our membership grew from 122,000 members to over 280,000 members, surpassing the total ARRL membership, with over 340,000 QTH accounts. Our eQSL database grew from 92 million to 558 million cards online. During the first 10 years, we approved just over 5,000 eAwards, and in the second decade that number grew exponentially to over 126,000. Today over a thousand of our users are taking advantage of $1 or $2.50 monthly subscriptions to maintain their Bronze or Silver memberships in force indefinitely without the trouble of renewing every year. We store 23GB of custom eQSL designs our users have uploaded, and our log database contains several hundred gigabytes of data. Read more about our server farm. 69,000 users are taking advantage of real-time logger imports of their QSOs, giving us charts, maps, and lists of who is on the air in real-time and what propagation conditions are, right now as well as historically. New Platinum members in 2018 will be able to select from several new Life Member Rewards. 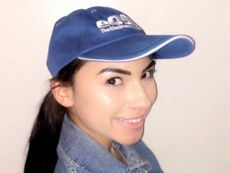 A new blue cap is now available and a new mouse pad is now available that will allow insertion of a favorite QSL card. Look at the Membership page for details. Watch this page for other events being planned for this year. An eQSL QSO Party such as the one we conducted in 2004, and a speaking tour with Dave Morris N5UP visiting amateur radio clubs (our last one was in 2011) are also being discussed by the Advisory Board. 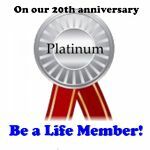 Become a Platinum Platinum life member now! New Platinum Members will be able to select from new blue caps or a new Platinum Anniversary mousepad with a space to insert your favorite eQSL card!